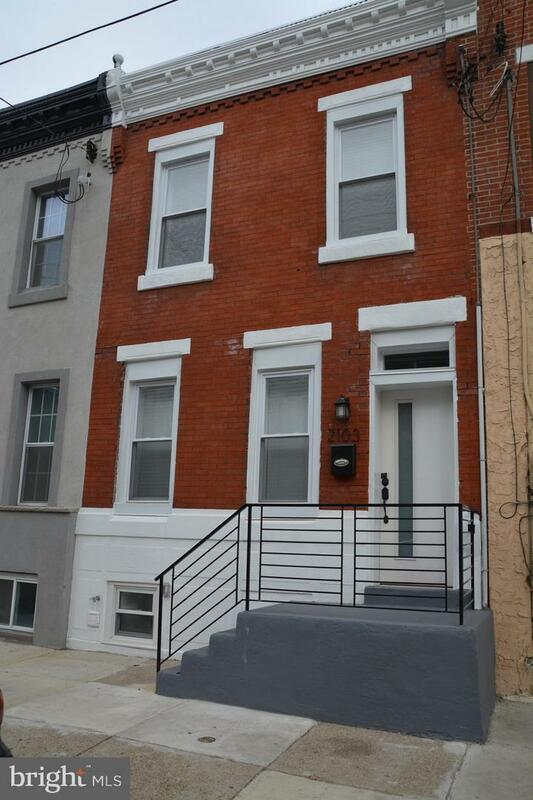 Welcome home to this stylish & totally renovated home in the popular Point Breeze neighborhood of South Philly. Just 1 block from the #17 bus running to Center City for an easy commute. South facing for a SUN filled living room and master bedroom excellent for plant lovers and pet parents. 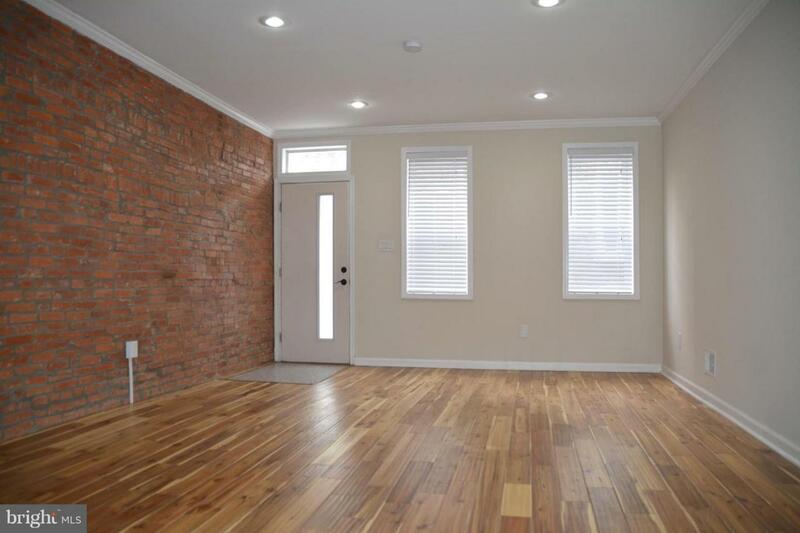 The open floor plan features exposed brick, acacia solid hand scraped 5" hard wood floors throughout the home, recessed lighting and a 1st floor guest powder room with small window for light and ventilation. 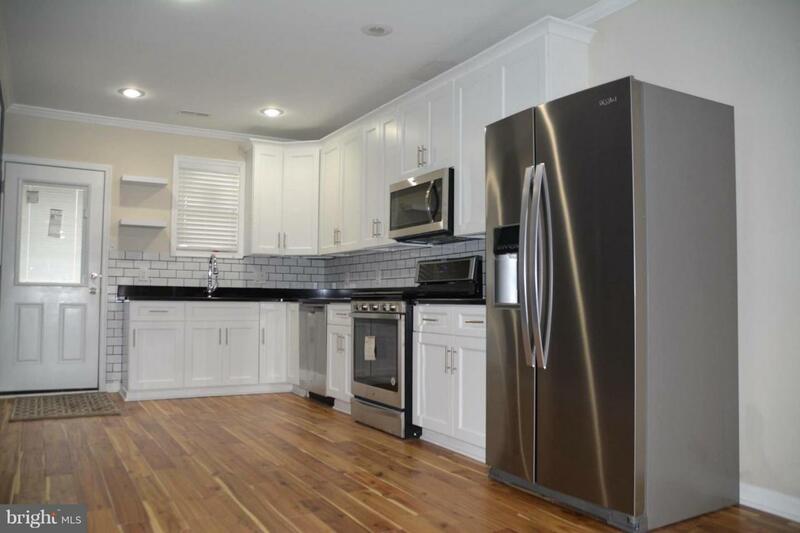 The eat-in-kitchen is a cook's dream with a 5 burner gas stove/oven, shaker cabinets offering lots of storage, sleek black granite counter tops, stainless steel appliances: dishwasher, garbage disposal, microwave and side by side refrigerator. 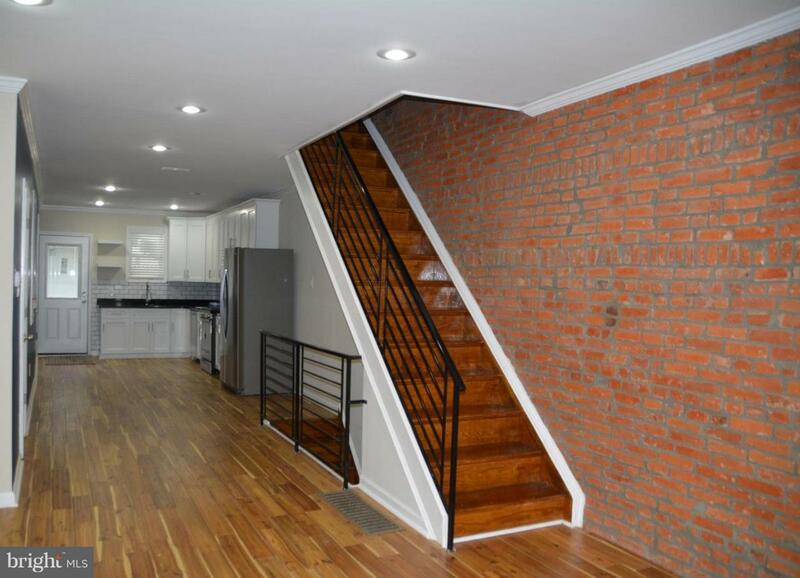 Upstairs find 2 generous bedrooms (front & rear) and a 3rd bedroom (middle) perfect as a nursery, guest room or office. The hall linen closet & spacious bathroom complete the 2nd level. The finished basement is a perfect ~man cave~ or media room with a separate storage / mechanical room with NEW HVAC & NEW hot water. Enjoy summer mornings & BBQ~ing with friends in the spacious rear yard with a tall pine wood privacy fence. $500 credit to buyer for 1 year home warranty.